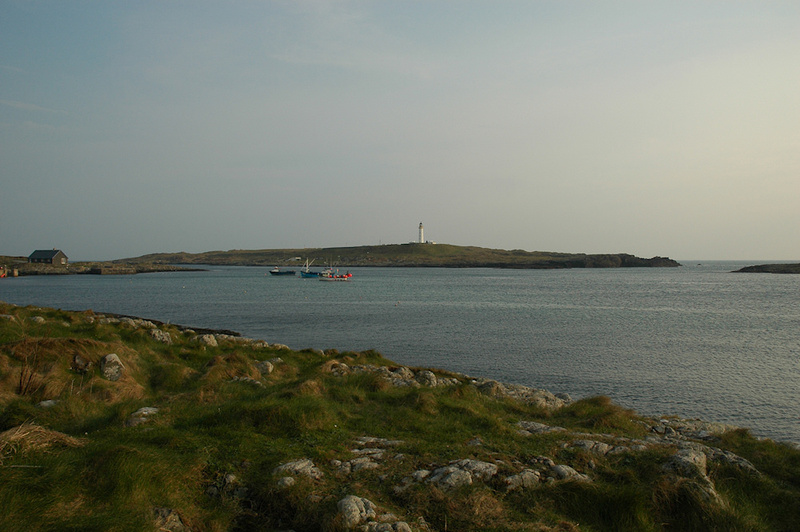 A view from a calm evening in Portnahaven, looking over to Orsay with the Rhinns of Islay lighthouse. This entry was posted in Landscape, Lighthouses, Repost, Sunny Weather, Sunset and tagged Fishing Boat, Islay, Orsay, Portnahaven, Rhinns of Islay by Armin Grewe. Bookmark the permalink.